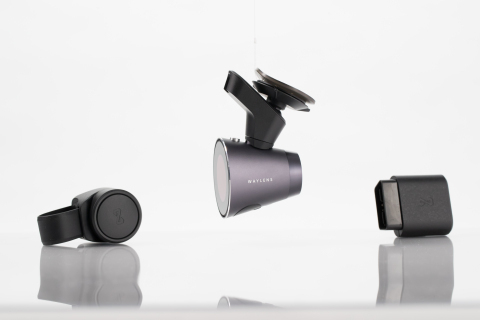 BOSTON--(BUSINESS WIRE)--Waylens, Inc., the automotive camera company, today announced the general availability of Horizon, the first automotive camera system designed specifically for drivers. Horizon captures every aspect of your drive with a high-performance camera, a steering wheel-mounted remote control, and an on-board diagnostic system (OBD-II) connector that overlays real-time performance data over stunning HD video. The system also includes a mobile and desktop app which enables drivers to identify, edit and share their most interesting moments right from the road. Customers can pre-order the Horizon for $499 MSRP on Waylens.com and it will be available for purchase on the Waylens website and the Amazon Marketplace beginning October 31. With a unibody aluminum enclosure and 286 pixels per inch (ppi) circular OLED retina touchscreen display, the Waylens Horizon camera is tuned specifically to the challenges posed by an automotive environment. A 1/1.8-inch, 7-element lens is wrapped in a full-metal barrel, and the camera’s state-of-art Sony CMOS sensor pairs with a 28nm high-performance video processor to produce the best possible video quality with less motion blur at high speeds. Whether it’s day or night, footage is captured the moment you turn on the engine in full 1080p at 60 frames per second (fps). With a Bluetooth-enabled connector tapping directly into the car’s OBD-II computer, drivers can capture what’s happening under the hood and choose which data points to show, including speed, RPMs , incline angle, location and more. The Waylens Horizon camera also contains a suite of advanced sensors to complement the OBD-II data streams, including a 10 Hz, high-resolution GPS for professional track-timing accuracy, a 9-axis motion sensor to record g-force, and dual microphones to capture the roar of the engine and exhaust. The camera’s touchscreen display doubles as a gauge, expanding the traditional dashboard display to include any available data streams in real time. Once a driver pulls over, the Waylens mobile app automatically finds the best moments from hours of driving footage and creates ready-to-edit and shareable video clips. The Waylens app lets drivers define data-driven parameters and search footage to find exactly what they want based on their driving performance, including the highest g-forces or fastest accelerations. Drivers can also choose which pieces of performance data they want overlaid on their footage. Once the video is ready, drivers can mark a clip as private or selectively share it on the Waylens public feed and major social network and video-sharing platforms. For more information about the Waylens Horizon, please visit: www.waylens.com. Waylens Inc., the automotive camera company, is transforming the way people drive and helping them discover the thrill of getting behind the wheel. The company’s flagship product, the Waylens Horizon Camera System, enables drivers to easily capture, edit, and share interesting moments right from the road. Backed by IDG Capital Partners and E14 Fund, Waylens is headquartered in Boston, Mass. with offices in Shanghai and Austin, Texas. For more information about Waylens, visit http://www.waylens.com/ or follow us on Facebook, Twitter and Instagram.